Tottenham Hotspur manager Mauricio Pochettino would be tempted by the opportunity to manage either Real Madrid or Barcelona, according to reports from the Sun. Having conducted a brilliant job at Southampton and Tottenham Hotspur, Mauricio Pochettino is considered as one of the finest young managers around in world football at the moment. As a result, it has been no surprise whatsoever to see Pochettino being linked with some of the very best clubs in the world and the likes of Manchester United and Chelsea are believed to be keen on landing the services of the Argentinean this summer. 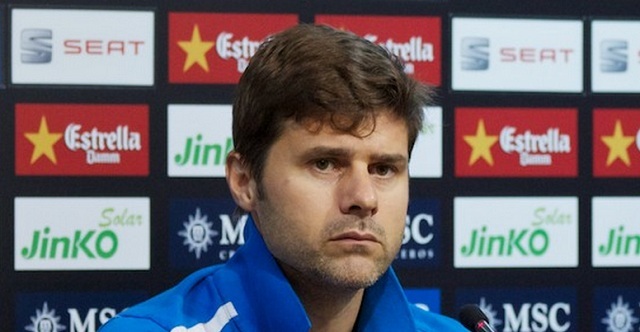 Now according to reports from the Sun, it has been claimed that Pochettino is not excited by the prospect of managing either United or Chelsea but could be tempted to leave White Hart Lane if Spanish duo Real Madrid or Barcelona came calling for his services. For now though, Pochettino remains perfectly happy at Tottenham and is focused on guiding Spurs to a top four finish this season.